This dish, if made dry, you can have it as a regular snack and if it is done with Gravy this will be a very tasty side dish for the Vegetable Fried Rice. 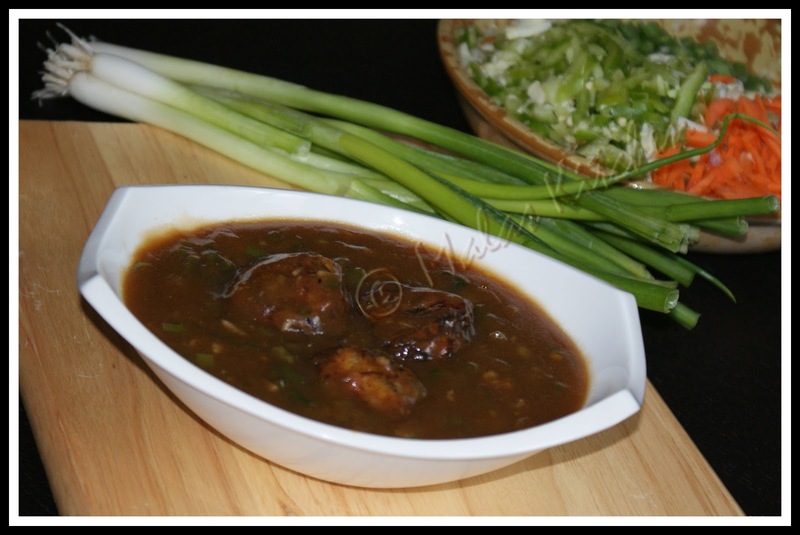 I am posting the Veggie Manchurian with Gravy Recipe today. As simple as it is but it does take time for chopping the vegetables and making the vegetable dumplings. One can eat just like that with chutney , atleast my son did and he loved it. This is again popular Indo-chinese recipe . Love Manchurian! Looks pretty pretty..
never tried with gravy..will do i soon..looks super delicious..
Omg, wat a tempting manchurian with gravy...feel like having some..
My all time favorite chinese dish! Beautiful presentation..the gravy looks delicious! Feel like having some right now! I have an eye on veg manch.. for a long time.will try this in a weekend.Bookmarked !! Great post. I like this recipe. Its taste very yummy.